Come see two amazing feature documentaries on-campus at the Procrastinator Theater! Saturday's film is "Living in the Future's Past" produced and narrated by Jeff Bridges. And Sunday's film is the Montana premiere of "Monrovia, Indiana" by cinema legend Frederick Wiseman. After each film, there will be an extra special Q&A with the film's director!! Food and drinks will be served! Only $5 for students and $10 for general audience. Tickets sold at the door. 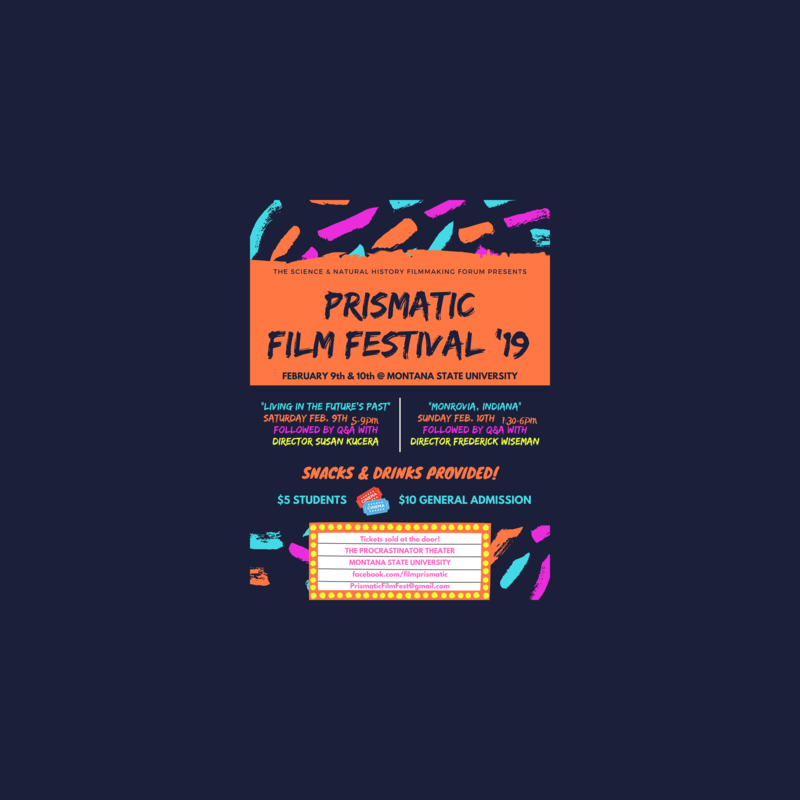 Head on over to Facebook.com/filmprismatic for more details and to watch the trailers. 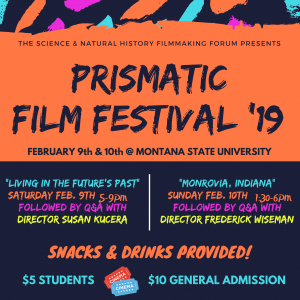 This event is sponsored by the Science & Natural History Filmmaking Forum at Montana State University. We hope to see you there!